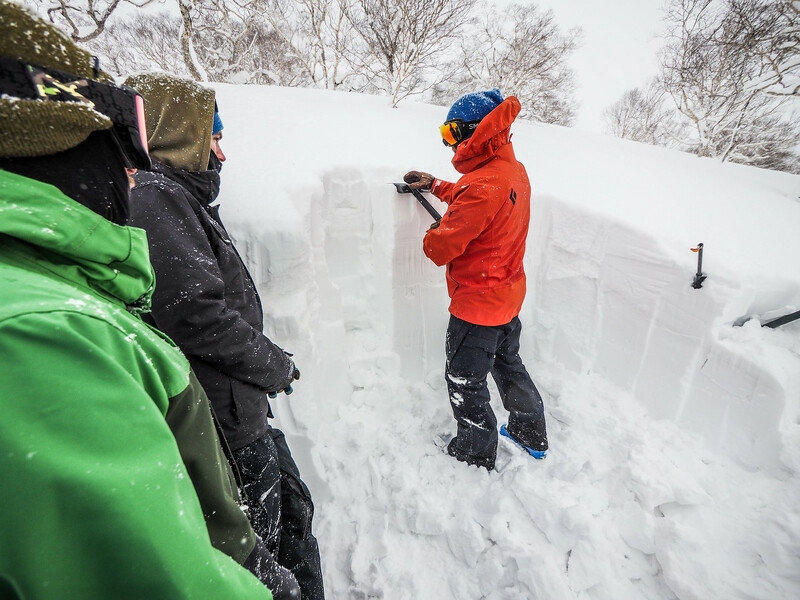 Three winter seasons ago in December 2015, I attended the Whiteroom Tours Avalanche Awareness two-day course in Niseko (report here). 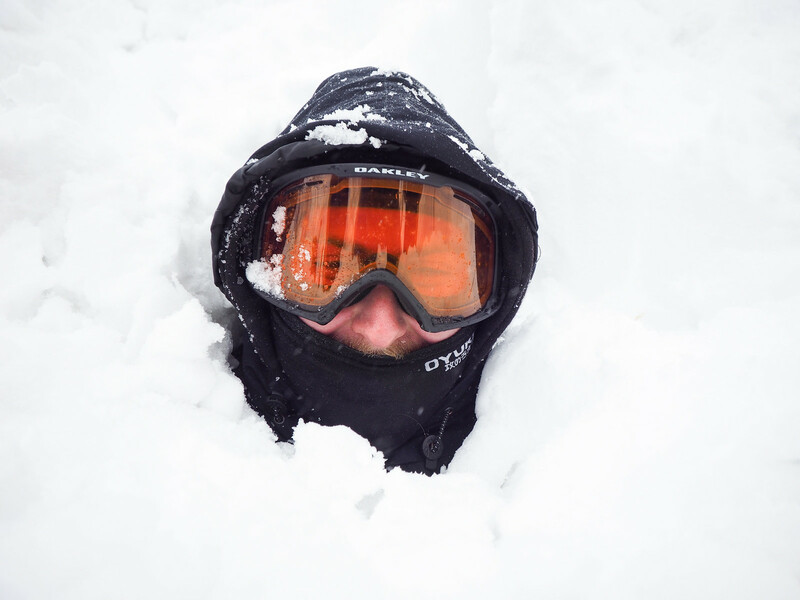 Last week I jumped in for the four-day Avalanche NZ accredited Backcountry Avalanche Avoidance Course. 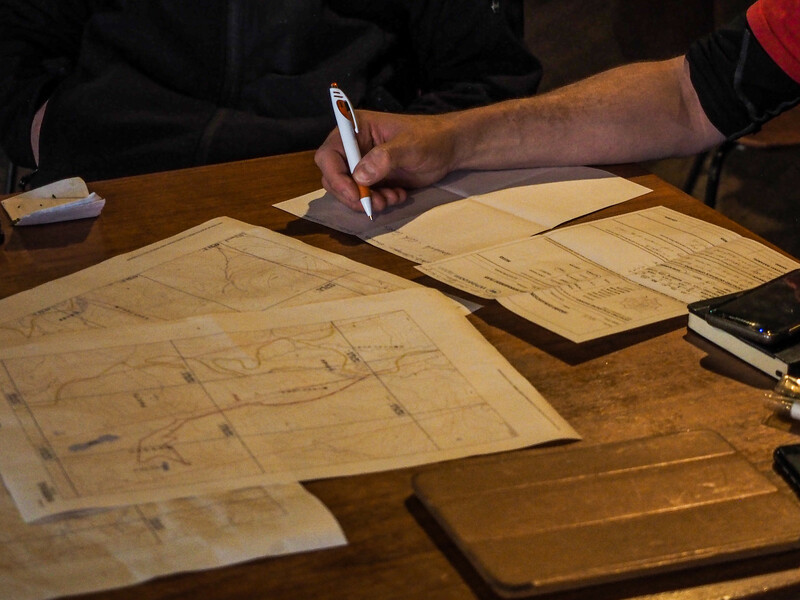 This four-day course focuses on forecasting and route planning based on the four factors in avalanche assessment: snowpack, terrain, weather, and people. 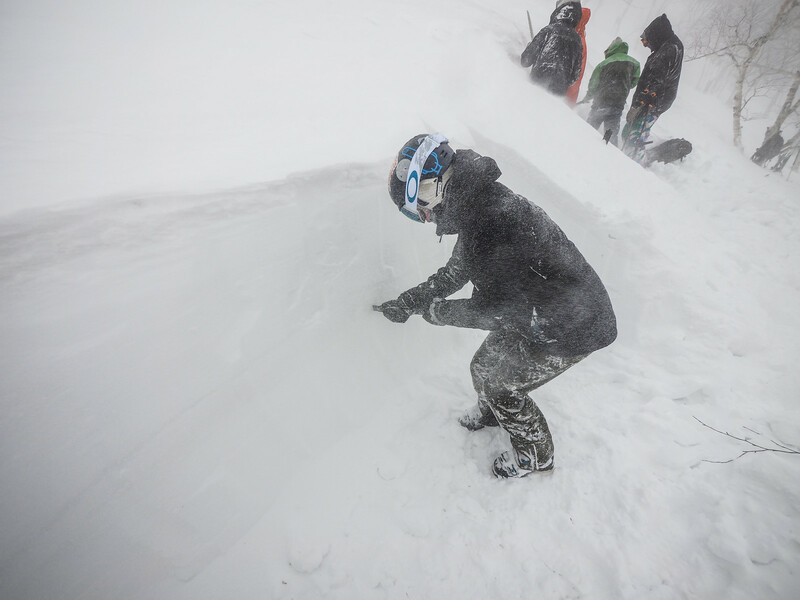 The lead Whiteroom Tours and NZMSC’s National Avalanche Forecaster Ronan Maguire again brought the course to life with his experience, knowledge, and passion for the winter hills. Disclaimer: I paid a full late-season price of 50,000yen for this course. All opinions here are my own, and I am not in any way affiliated with Whiteroom Tours. My season pass to the backcountry. That’s how I view avalanche safety training, and indeed any backcountry skills training. 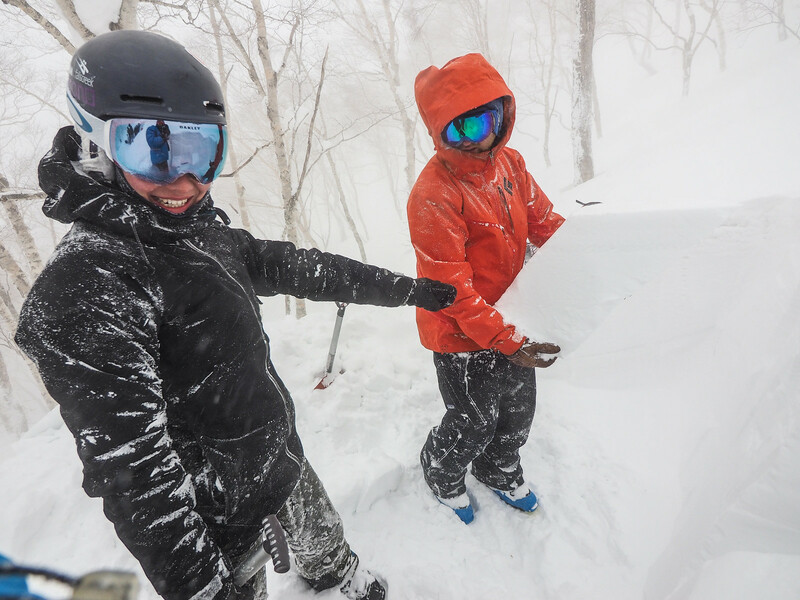 While some people spend hundreds of dollars a year on season passes to ski resorts, as someone who predominantly ski tours for recreation in the backcountry in Hokkaido, I happily put that into knowledge that will help me make safer decisions on the snow. So there I was for round two of Whiteroom Tours’ avalanche training, this time the four-day Backcountry Avalanche Avoidance course. 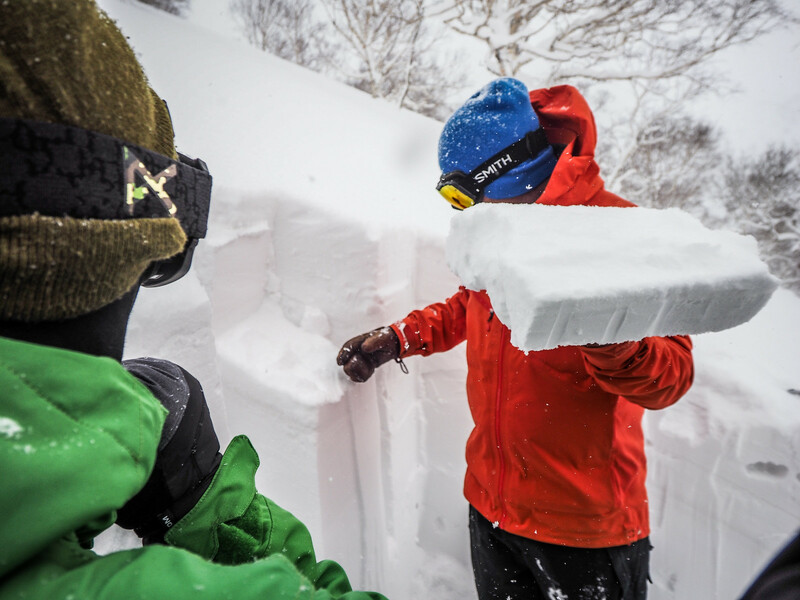 Like last time, this course was also led by Ronan Maguire (LinkedIn) – the New Zealand based Irishman and Regional Avalanche Forecaster who has a profound passion for snow – not only of the academic/professional type, but also recreationally. 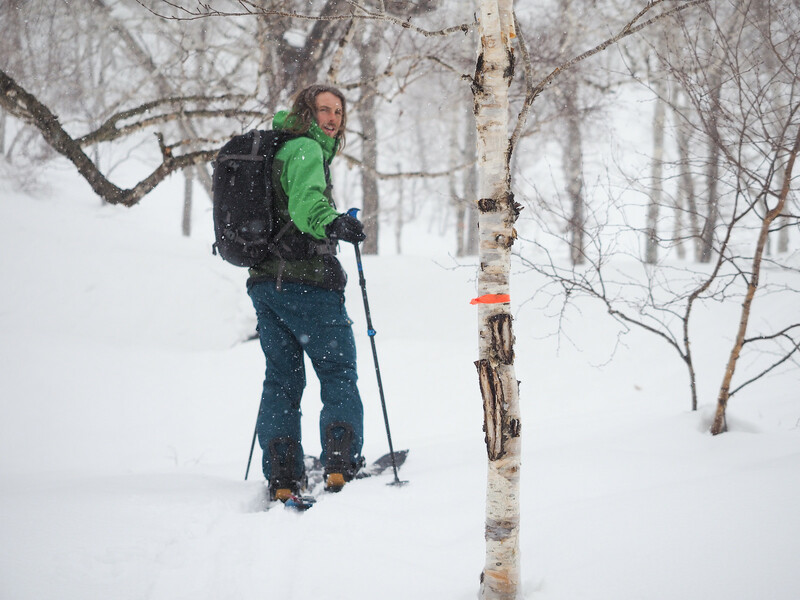 “I only skin up mountains to ski down them,” he told us more than once. 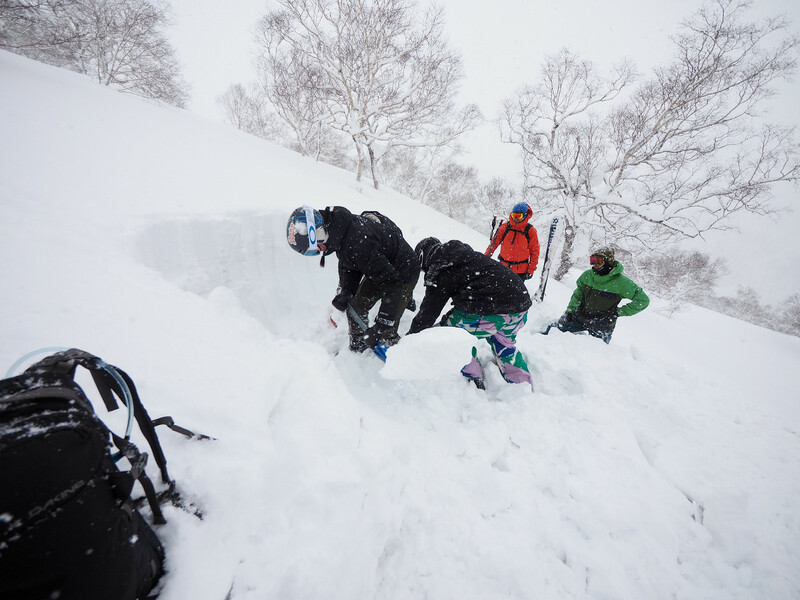 And now that Ronan has spent three winter seasons in Japan, doing Whiteroom company-wide Japan avalanche forecasting every day for all of them, the courses that Whiteroom offers are now really on point. I’d mentioned last time that I had hoped for more Hokkaido-specific insight, and this has now been very well taken care of. The big highlight of this four day course was the final day where us students on the course would plan and execute our own ski tour. 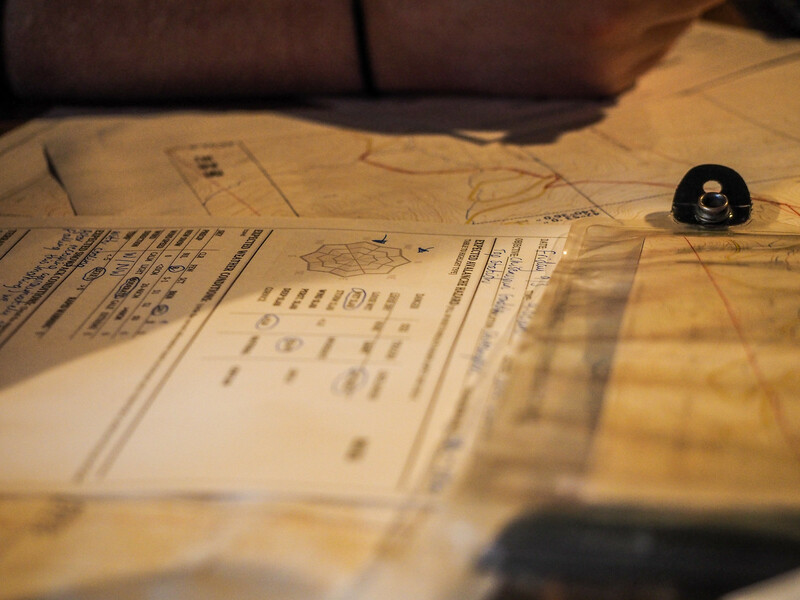 Ronan would take a complete back-seat, allowing us to make the decisions about terrain and route. The previous three days of training would all be leading up to this big day. 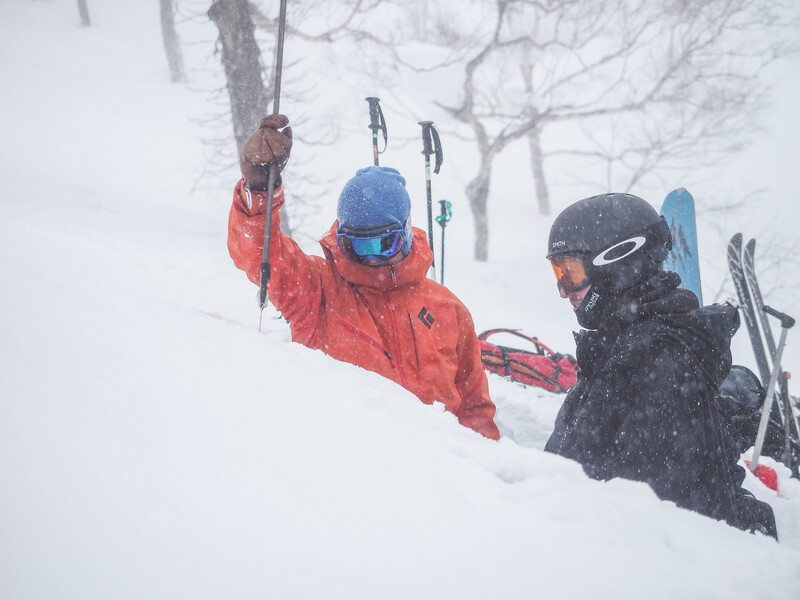 Expert tutoring by Ronan Maguire – Whiteroom Tours Japan lead guide and avalanche forecaster for the New Zealand Mountain Safety Council and Mt. Hutt Ski Area. He was a skier first though. 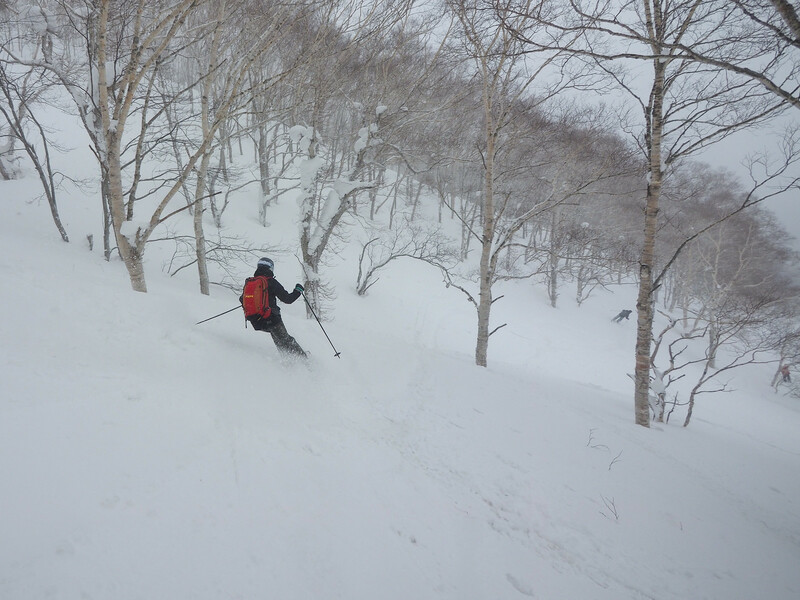 Three full days of ski tour accessed on-the-snow training in a range of backcountry locations in and around Niseko. 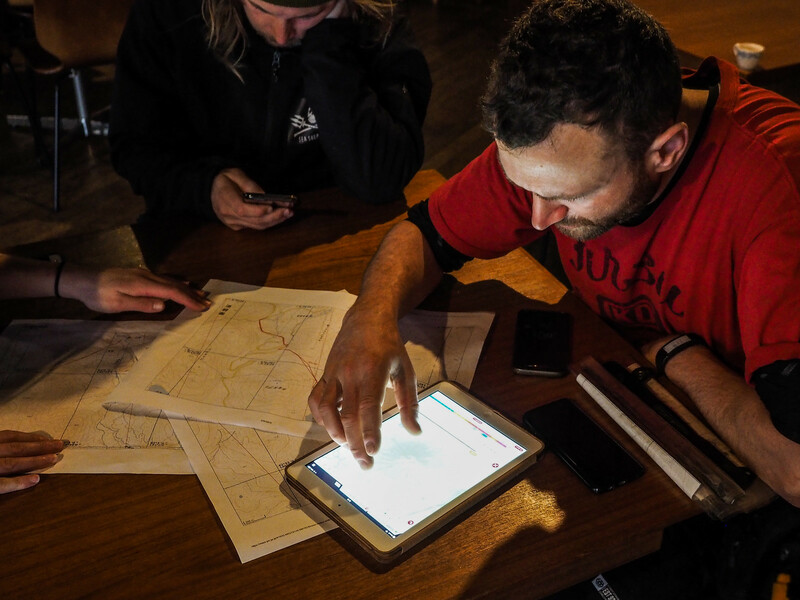 Solid active-learning style teaching of pre-trip planning, snowpack assessment and avalanche forecasting. Fully Avalanche NZ accredited syllabus. As someone who ski tours recreationally, it was interesting to be surrounded by other students who were working in the ski industry – inspiring! 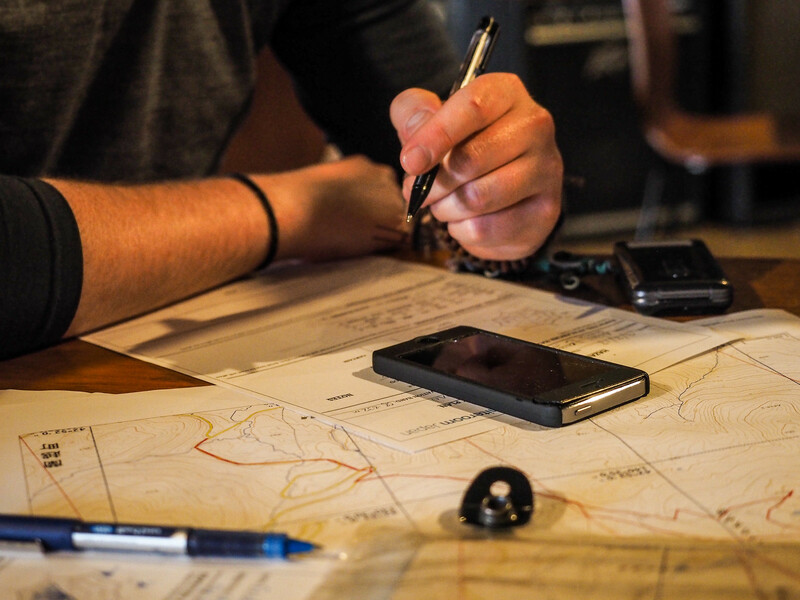 There seemed to be a mix of experience and background in the participants on the course, in terms of previous avalanche safety training, familiarity with beacon use, and ski touring experience. Everyone apart from me had very solid backgrounds in the ski industry. Most were currently or had been professional ski instructors. But apart from me, most had not ski toured before. 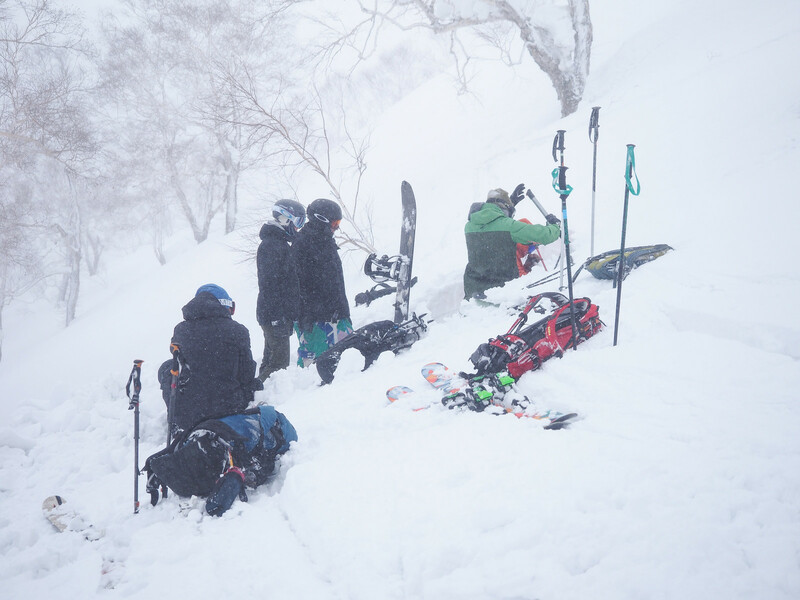 This meant that extra time was taken up with basic ski touring equipment explanation and covering basic avalanche safety points. 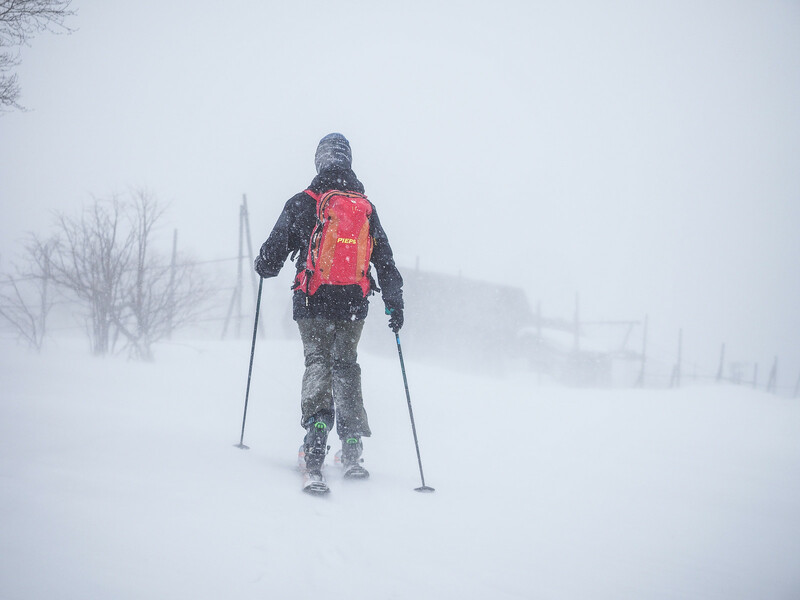 On the positive side, if you’ve not done much touring before (or any at all), then you’d be killing two birds with one stone: avalanche safety training plus ski touring training. In the end, Ronan did a good job balancing differences in experience. As a more experienced tourer, I was able to have more indepth conversations with Ronan while skinning. 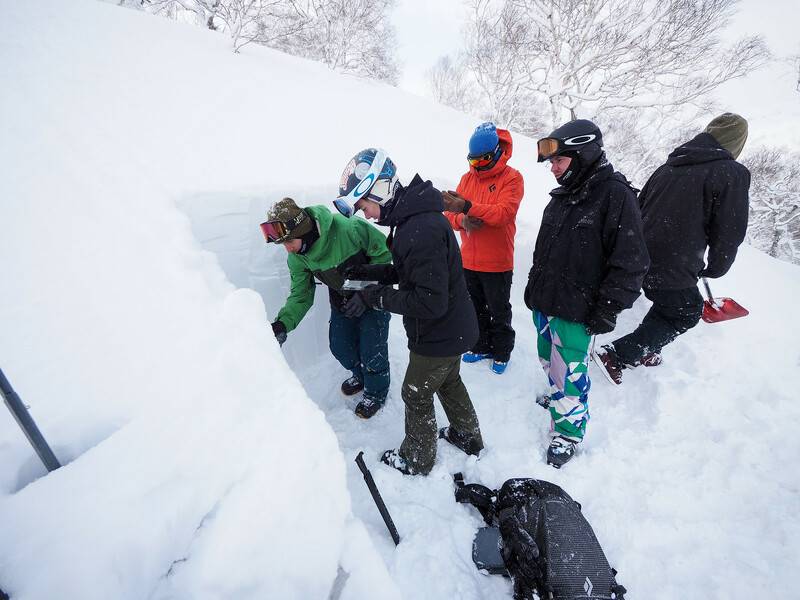 The course started at 9am on a Tuesday morning at the Half-Note Bar (location) in central Hirafu, with three hours of avalanche theory. 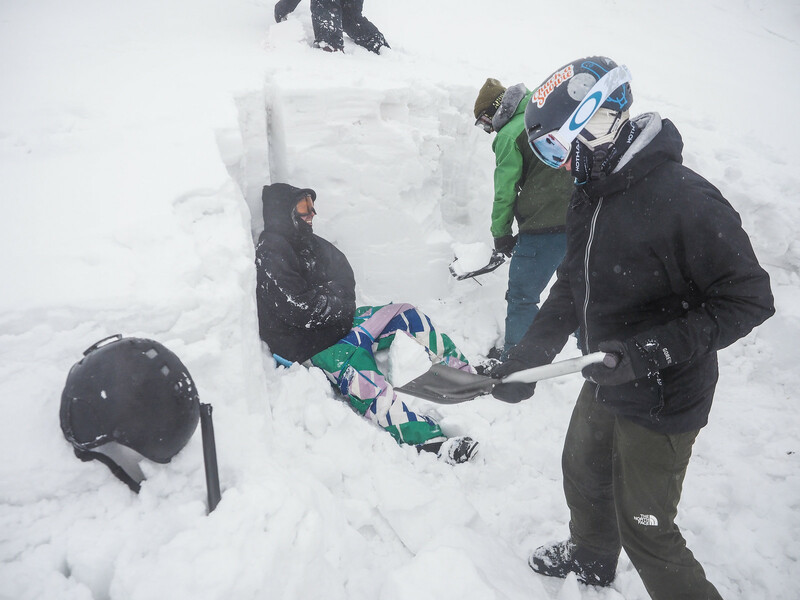 This covered the basic mechanics of avalanches, safety ratings, and human factors. Mercifully, this lecture was broken up with a half-hour hands-on refresher on beacon searching in the carpark next to the bar. For this morning session on the first day, both the two-day and four-day students were together. In the afternoon of the first day the two- and four-day students split up, with us four-day students heading to the local tennis courts for a more intensive refresher on beacon search techniques. 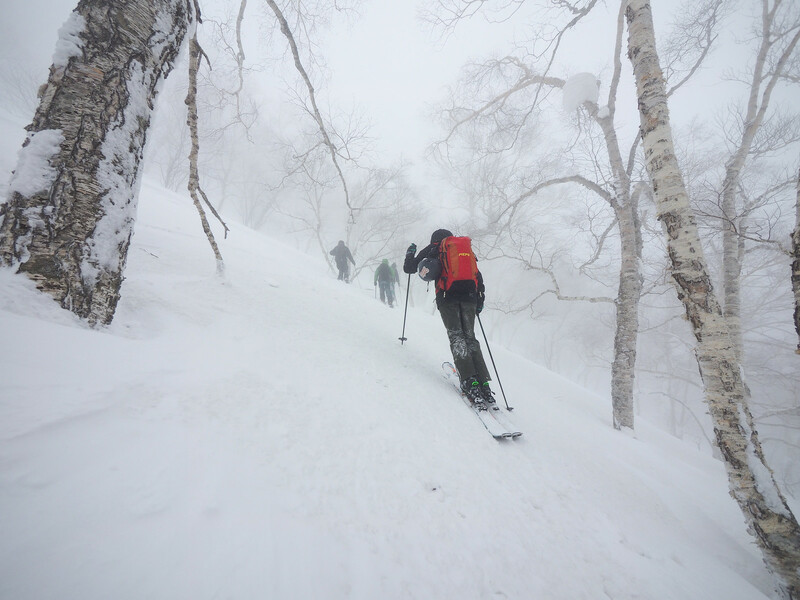 I had done a one-day avalanche companion rescue course at the beginning of the season with Paddle Club Outdoor Store in Sapporo (report here), so it was nothing new, but I guess you can’t get too much exposure to beacon searching. The first day finished with some practice forecasting the snowpack and avalanche risk for the next day. Today started off first with us students making predictions about what the snowpack would be like, based on what we knew from the season so far, and the forecast for the next 12 hours or so. For this, Ronan supplied us with a Whiteroom Tours forecasting sheet, allowing us to make predictions based on wind direction, speed, snowfall, aspect, terrain, and other factors. This felt very much like making stabs in the dark, considering none of us had done this before, but over the next few days we’d slowly become more adept at how to write up our forecasts. 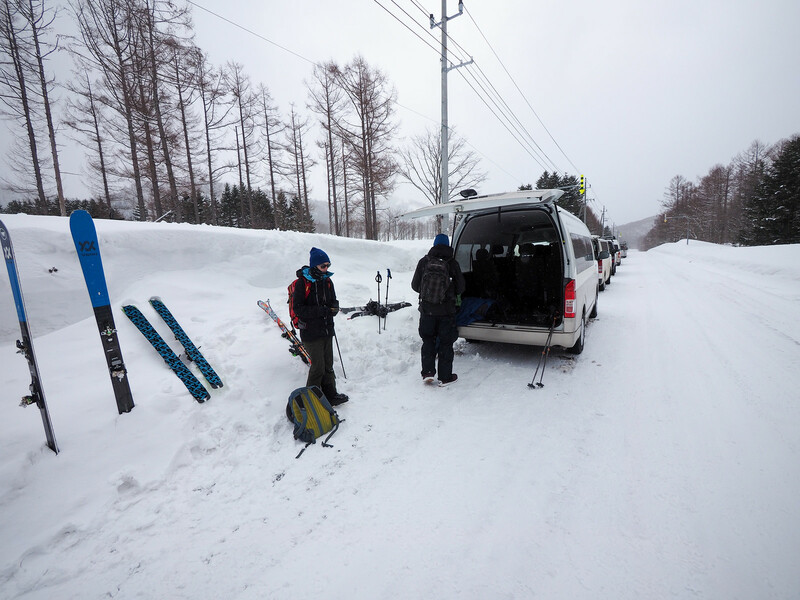 From the classroom, we then headed out to Niimi Onsen to actually see what the snowpack was like. This involved a solid two-hour skin up towards Mt. Mekunnai (on a route I’d done before – route guide here), to the plateau at around 880m. For many of the students on the course, this was their first time skinning. “This is how you change the height of your climbing bales,” Ronan would patiently explain. “Slide your skis, don’t lift them too much,” he would continue. Along the way, Ronan would point out details such as the finer characteristics of rain-crust and the interplay between that and newer layers of snow. 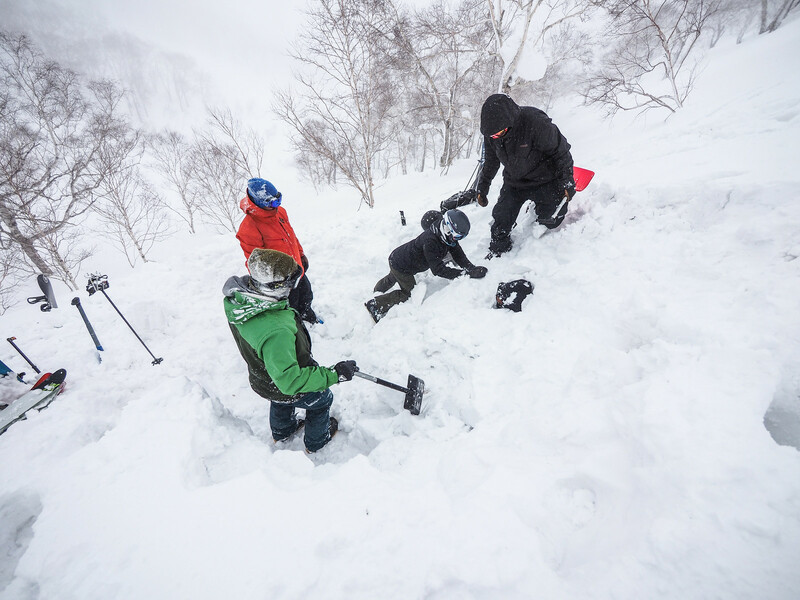 The whole mountain became a classroom. After the crash-course in ski touring for many of the course participants (consisting of two hours of skinning uphill), Ronan led us to a slope just below the plateau, where he would demonstrate single and extended column tests. He also had us looking at different types of ice crystals through a magnifying glass – spikey powder snow, consolidated well-bonded snow (rounds), and the less consolidated faceted snow (squares). I couldn’t help but make a comparison between the previous two-day course I’d done with Whiteroom Tours and this course. 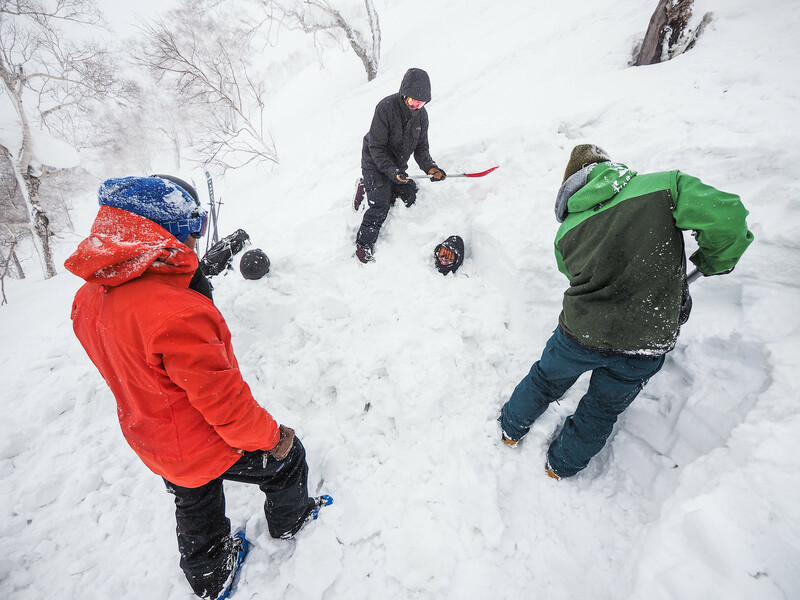 This four-day course seemed to be building well on what we’d done in the two-day course, but it was beyond awesome that in this course we were actually getting into the backcountry and skiing the terrain we were forecasting for in the morning. 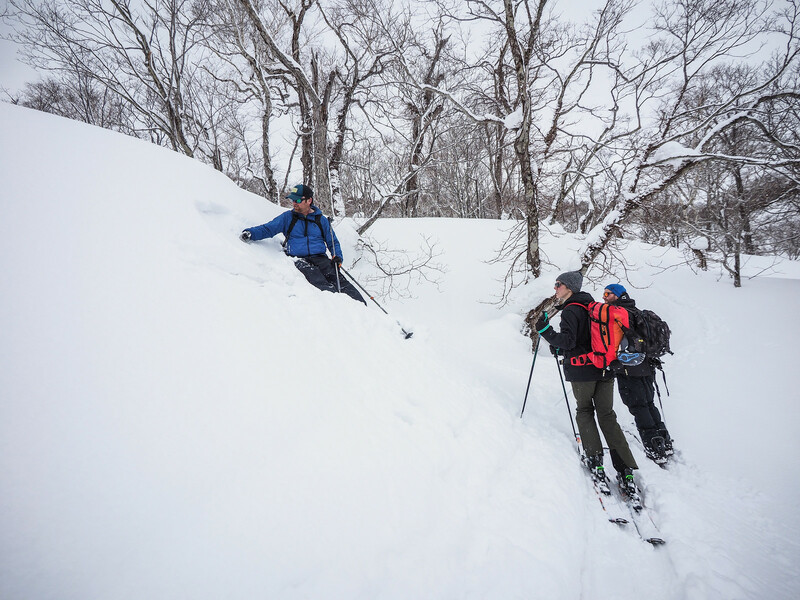 The mind boggles as to why more people visiting Hokkaido for guided ski touring holidays don’t jump in on these avalanche courses. 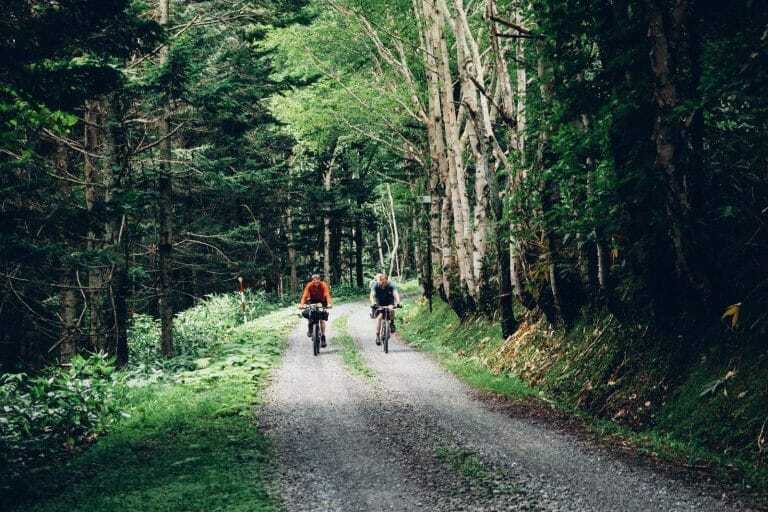 You essentially pay around 10,000yen per day for the course, but this includes essentially being guided to new places. That seems to be quite nicely killing two birds with one stone to me. 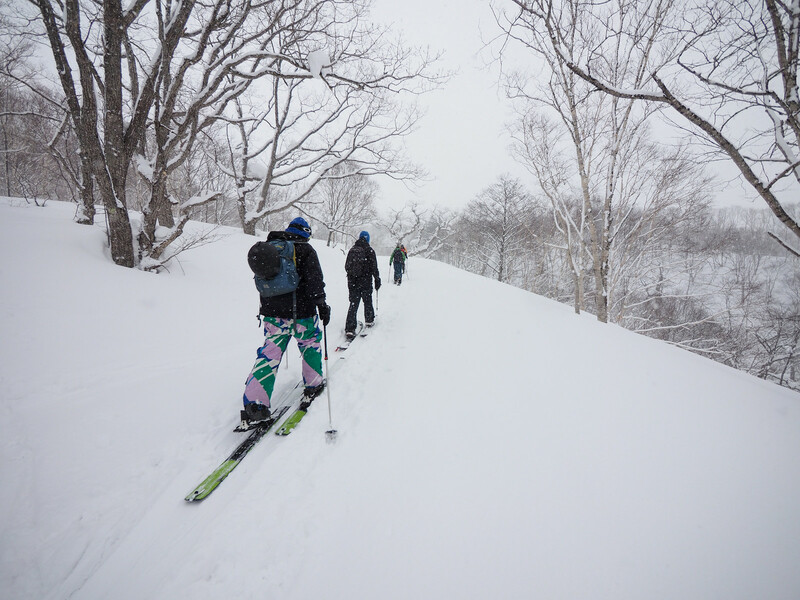 The ski back down to Niimi Onsen was definitely worth the uphill – smiles all round. 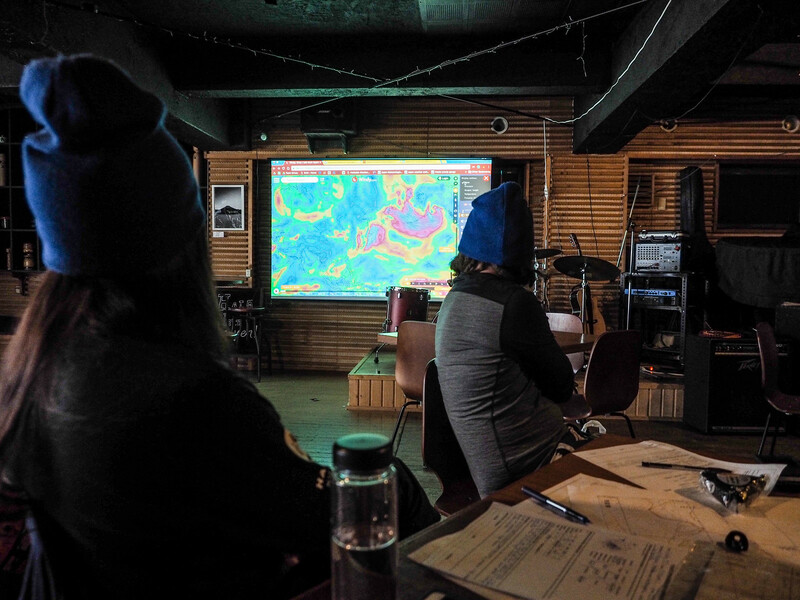 Day three started again in the Half-Note Bar in central Hirafu, making our forecasts and predictions for what we’d find in the snowpack that day. Ronan had decided to take us to Mt. Shiribetsu for the day’s on-the-mountain training, a place I’d not been to before. Mt. 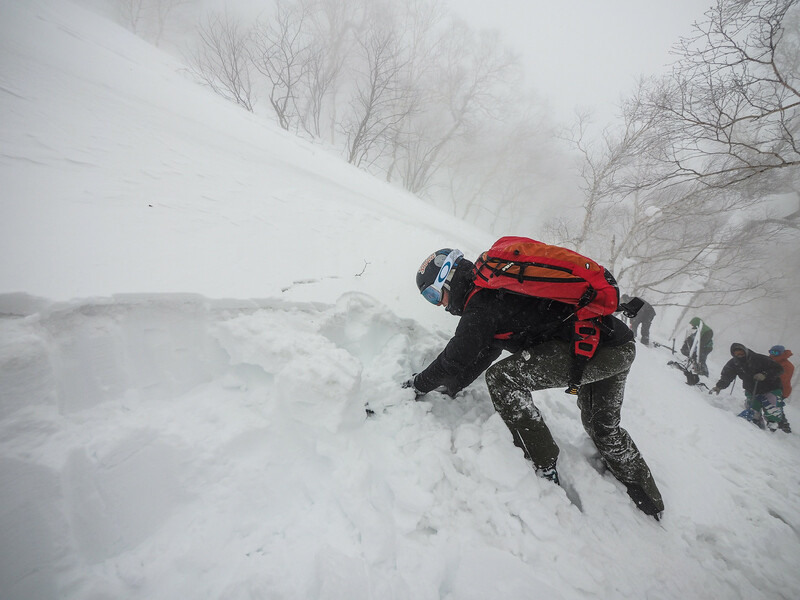 Shiribetsu was particularly interesting for me because it is thought of locally as a particularly avalanche-prone mountain, with a number of avalanches reported there, some involving deaths. At the trailhead, an old sign warns climbers of an avalanche on the 18th of January 2010, where a party of 9 were involved in an avalanche on the very slopes we’d end up skinning up today. One in that group of 9 were killed (accident report PDF here). Another incident involved foreign skiers in 2015 (PDF report here). Our forecast suggested we’d have moderate winds, with the possibility of wind slabs. 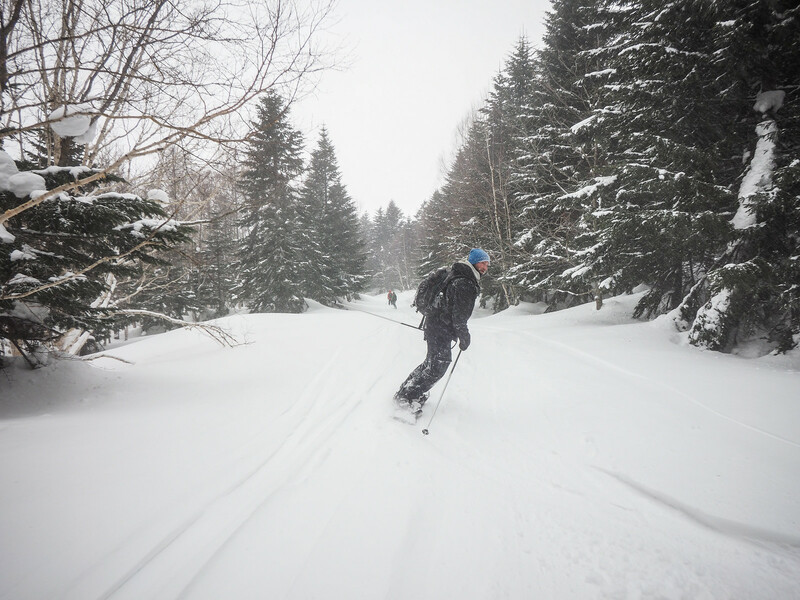 Of all things, rain was also on the forecast – not great for skiing or spending time in the hills, but certainly a good chance to see how rain might affect the snowpack. As we set off from the trailhead, however, things were looking on the up. It was warm, but no rain to speak of, and down below there was hardly a breeze. As we ascended, however, our forecasts proved incorrect – wind gusts had us stopping and leaning into the wind. 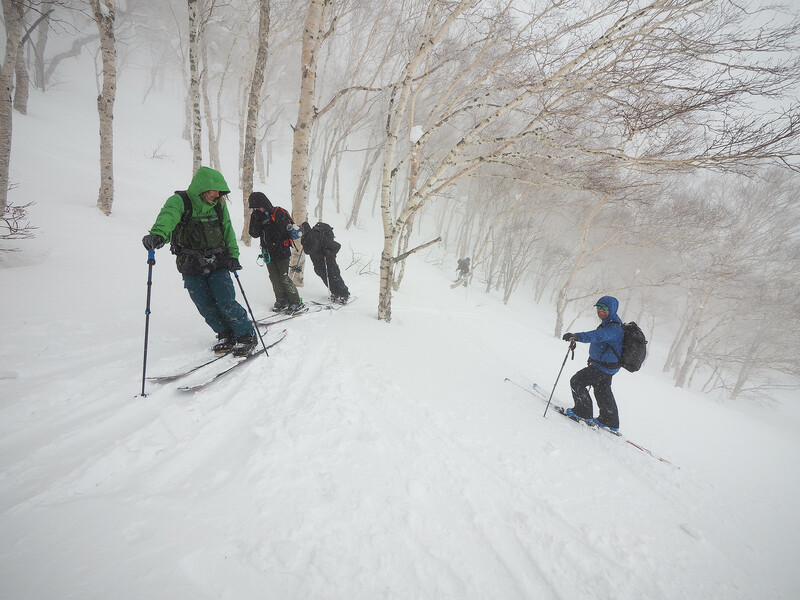 “Just for the record,” Ronan said, ” if this was a guided recreational tour, rather than a course, we would have been back down at an onsen by now.” As we ascended in the relative safety of the trees, Ronan took the opportunity to point out the thin wind slabs forming on the surface of the snow. “This is so cool,” exclaimed one of the participants. “Now I get what people say when they talk about wind slabs.” Active learning at its finest. At around 821m (route here), Ronan split us up into two groups, and we dug pits for a compression test. It was still blowing a gale, so we didn’t have time for an extended column test. Our tests showed a very thin weak layer more than 70cm below the surface. Our single column tests had not shown anything too concerning, but the wind was not letting up, so we filled in the pits and made a quick escape back down the hill through the trees. Another varied and fantastic day out learning. Plan A (1) – Mt. 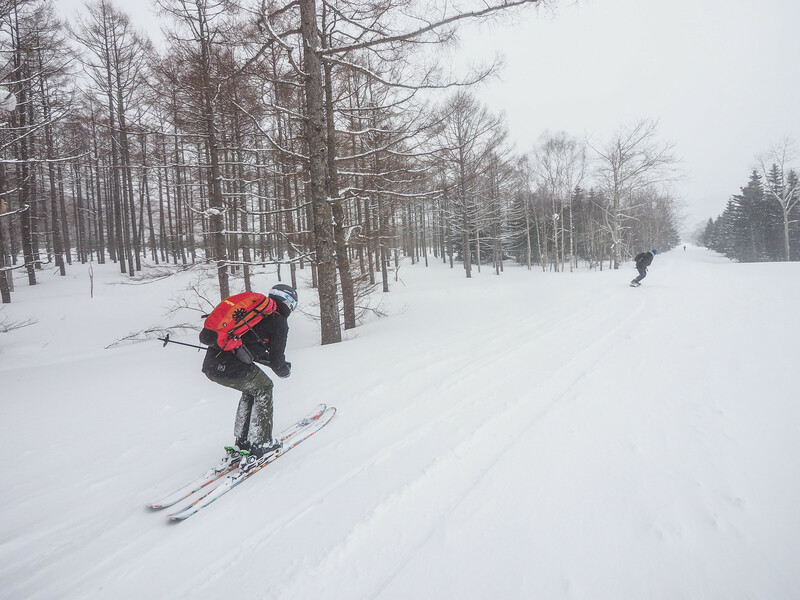 Shakunage via the Chisenupuri Ski Area (PDF topomap | Interactive Route). Plan A (2) – Mt. Yotei Makkari Route and the Delta Slope (PDF topomap | Interactive Route). Plan A (1) and Plan B had the attraction of having onsen very close to the trailhead – perfect if we were going to end up cold and wet at the end of the tour. Plan A (2) would have been awesome just because, well, Mt. Yotei! We all arrived at the Half-Note Bar at 8am. Ronan wanted us to present where we planned to take him at 9am. We got into the planning, checking windy.com to pin-point what the weather might be like at each location (for example, the weather at Mt. Shakunage). 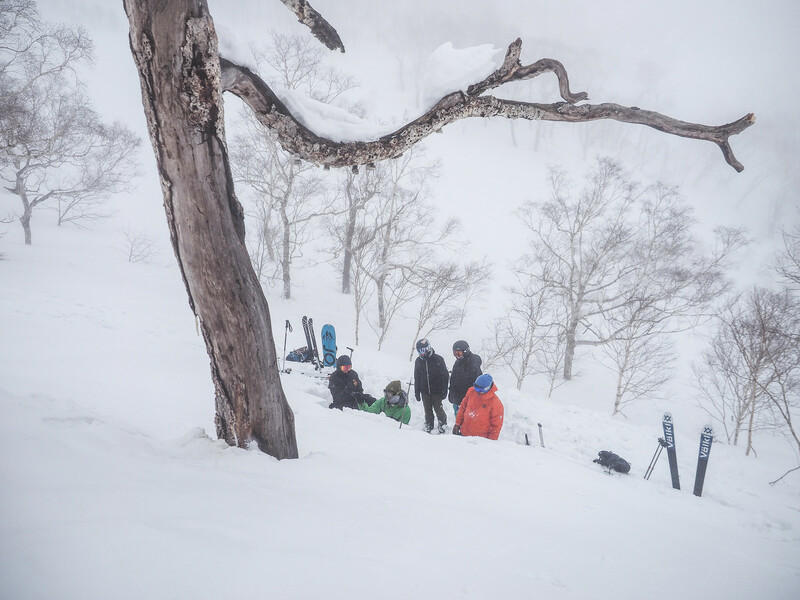 The weather was looking dismal in all locations, so we decided among ourselves that we’d head to Kiroro Resort. We could lap the slopes to the west behind the resort hotel, without committing too much to being out on exposed slopes for extended periods of time in the bad weather. Then Ronan threw us a curve-ball. “Oh by the way,” he said nonchalantly. 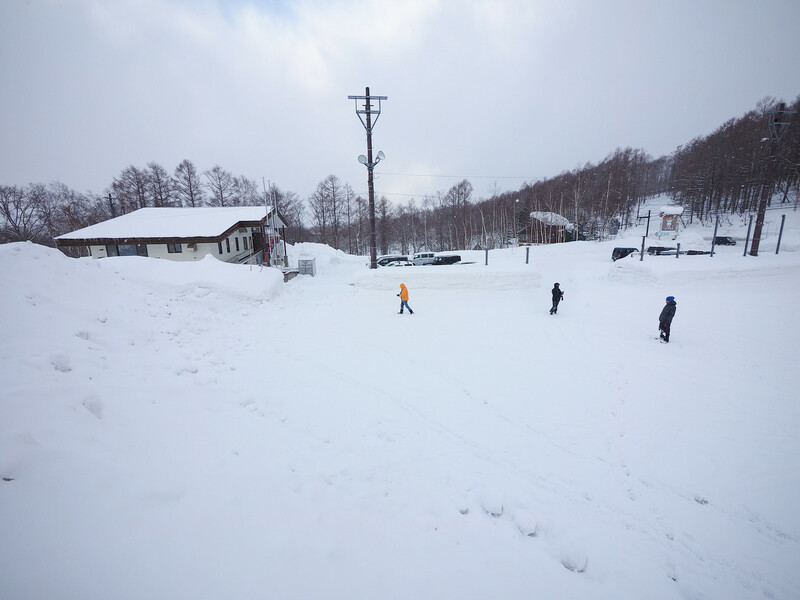 “I overheard you talking about behind the hotel at Kiroro. That area is off-limits. They do cat-skiing around there.” It was back to the drawing board. We decided against Mt. Yotei simply due to the exposure factor. Mt. Yotei is an intimidating enough mountain in good weather, let alone the bad weather forecast for today. That left the Mt. Shakunage option. 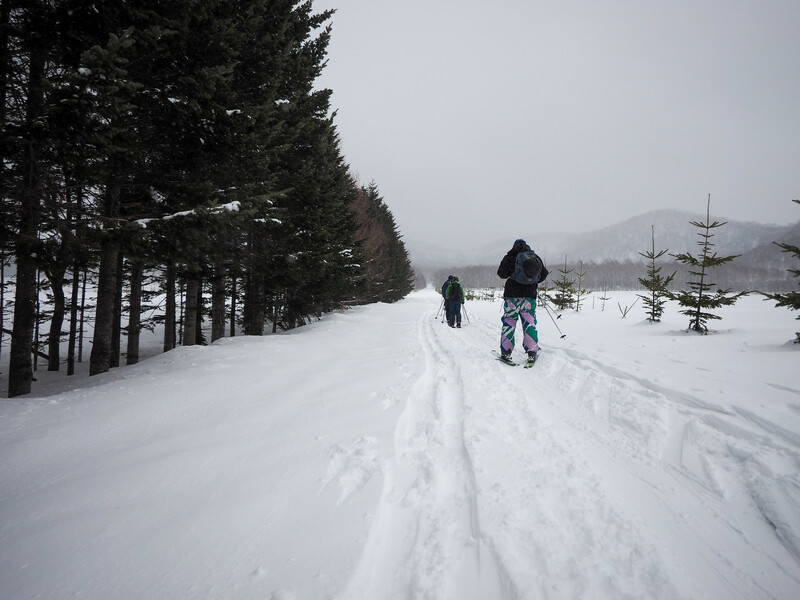 At least half of the full route, however, was beyond the tree-line in alpine territory – very exposed to the elements. So we decided on a new Plan A and B. 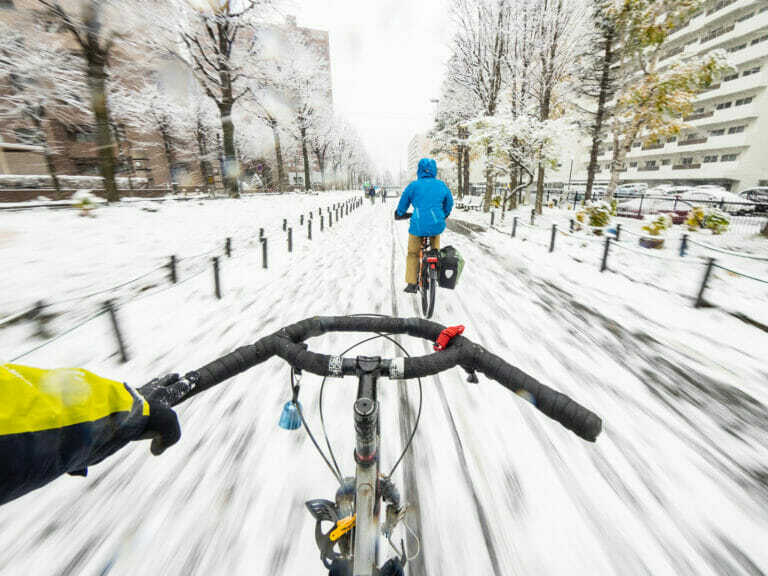 Plan A – In the best-case scenario, and weather permitting, we’d do the full route to the summit of Mt. Shakunage. 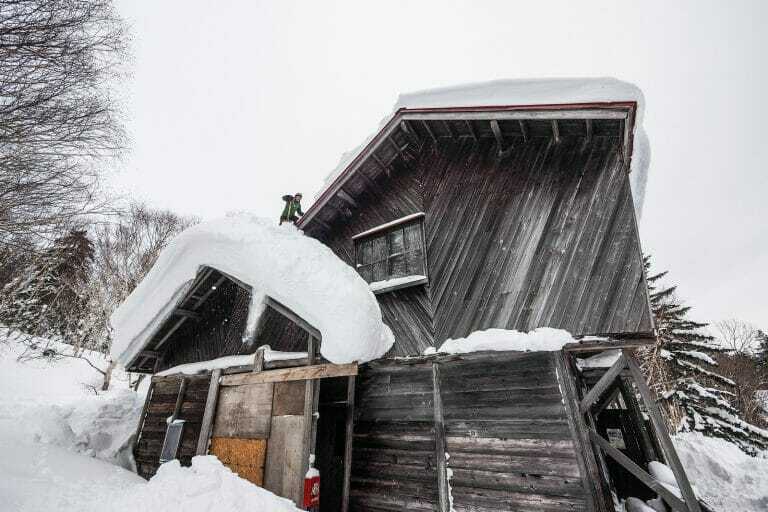 Plan B – If the weather was not cooperating, we’d just skin up to the old now-defunct Chisenupuri Ski Area chairlift top station. 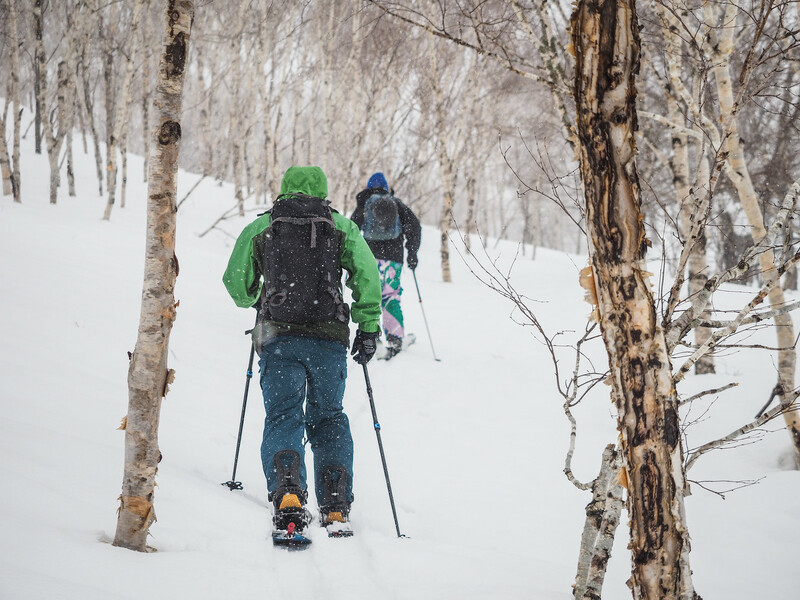 Black Diamond, who operate cat skiing on the Chisenupuri ski area, have marked an uphill access route to the west of the ski area, so the plan was to head up there. We all sighed a collective sigh of relief when Ronan approved of the new plan. 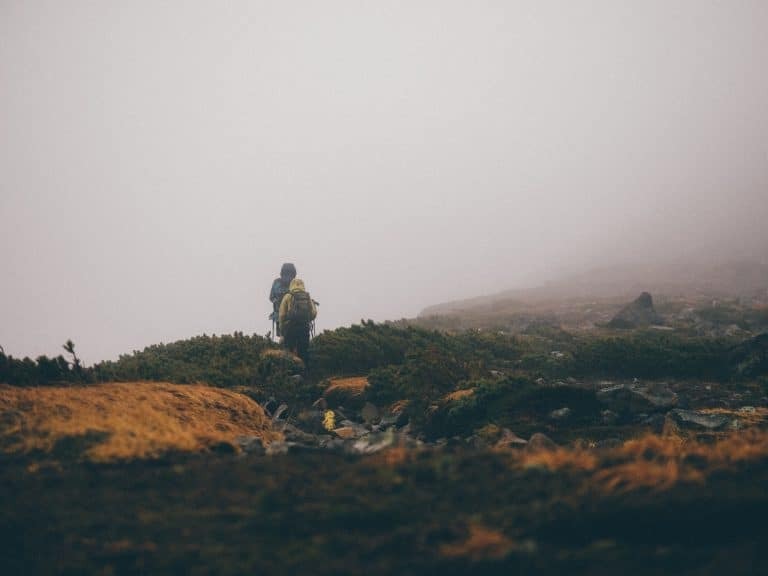 He then launched into a short session on weather patterns – I’m not sure that any of us minded the extra theory, as it was certainly delaying the inevitable dreariness of the prospect of skinning up a hill in the rain. By the time we arrived at the Chisenupuri carpark, however, the rain had stopped. A chilly, damp breeze was blowing. 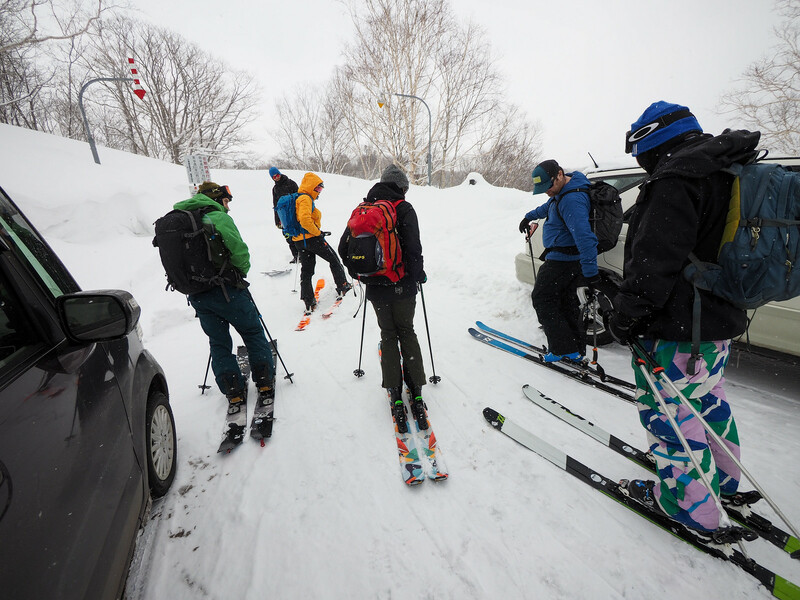 Subdued, we all begrudgingly pulled on our ski boots and suited up. I was taken aback by the sheer volume of snow. 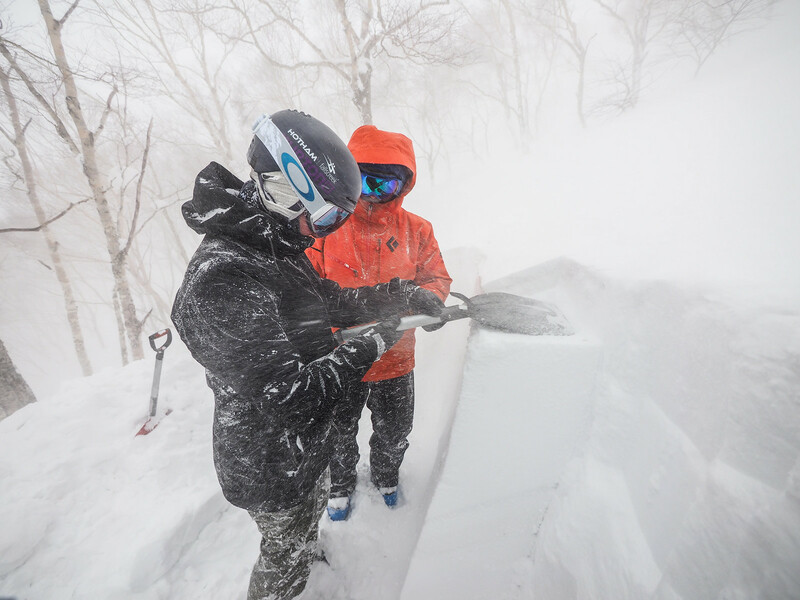 Niseko has had a bumper season! Mercifully, the skin up the western flanks of the Chisenupuri, via the well-marked public access uptrack, was really enjoyable. The group worked well together, swapping the breaking-trail duties. The well-oiled machine managed to get to the top of the lift in about 50 minutes, with everyone in really good spirits despite the blustery weather. Again Ronan made the most of the time on the mountain, pointing out the visible effects the rain has on snowpack. “See those rain runnels there, that’s water running through the snowpack,” he pointed out. After a short break our of the wind under the chairlift, we all collectively agreed it was not worth going any further up towards Mt. Shakunage. Ronan regaled us with stories of throwing bombs out of helicopters in New Zealand (to set off controlled avalanches), and then we skied back along the uptrack. Half way down, we stopped for another spot of digging. This time we started with a simulated rescue dig. 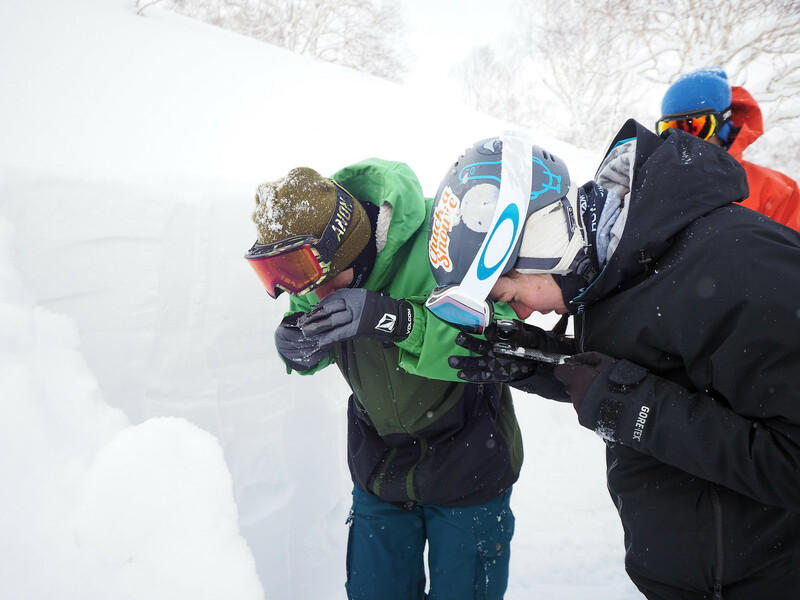 A probe was pushed 170cm down into the snow, and it was our task to dig to the bottom of it. It was hard work, even when it was five of us working hard as a team. The digging left us with a pit for some more compression testing. This time we had time for an extended column test. Following this, we experienced the tactile response of a probe touching a human body through snow. Alex was volunteered to be the guinea pig for this task. “Unbeknownst to you, you were assigned this task at exactly 9:20am on Tuesday morning,” Ronan quipped, referring to how Alex was 20 minutes late in arriving on Day 1 of the course. And so ended a fantastic four-day course on backcountry avalanche avoidance. 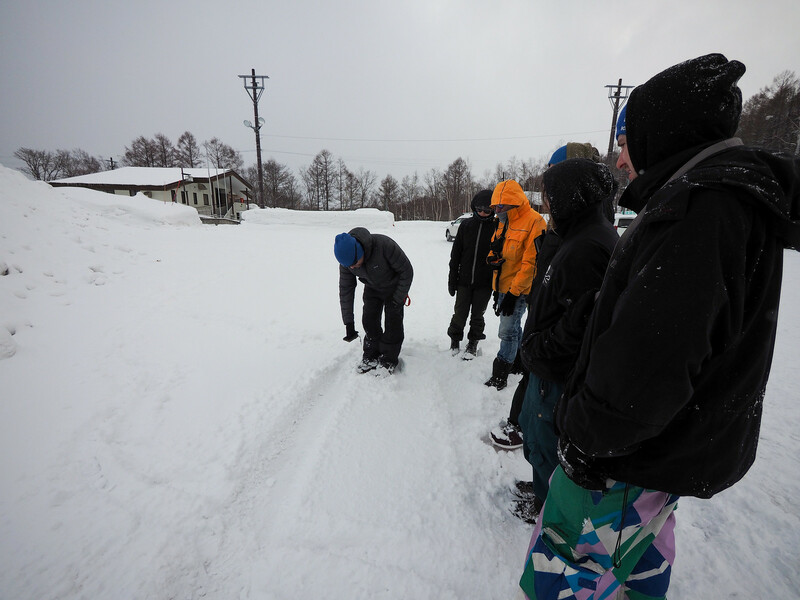 We finished off with a soak at the glorious Yuki Chichibu hotsprings (location) just up the road from the Chisenupuri Ski Area, and then a quick de-briefing back at the Half-Note bar. 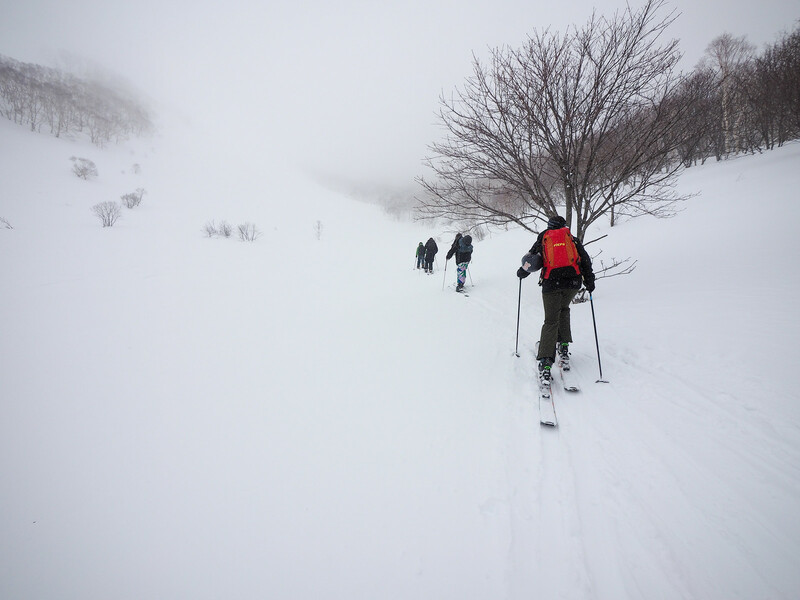 I had to drive back to Sapporo that evening, so I had to leave in a bit of a hurry, but I thoroughly enjoyed the course. The hands-on learning-while-ski-touring was fantastic, and once again I was inspired by the knowledge that Ronan has and the manner in which he teaches it. Great report Robert. Looking Ng forward to completing the course in December 2018. Good luck for next season. I hope you are enjoying the spring weather!